Use Icosphere for better Texturing. 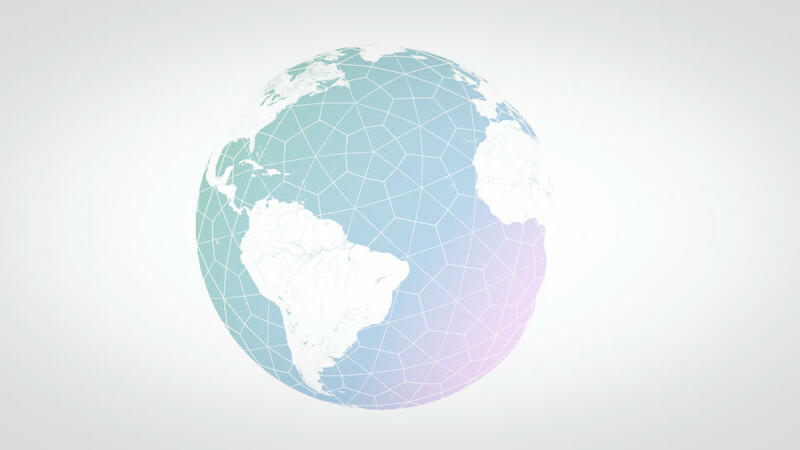 Separate wireframe from original sphere. Combine Gradient and Image Maps. Found the tutorial useful? Donate an amount to allow me to create even more! In this video, I will show you how to create something similar to that-a simple abstract geometric earth in Blender. The gradient texture and the wireframe of the sphere settings are which I am sure you may want to check it out! Thanks to NASA for the World map. Join my mailing list to receive the latest updates and tutorials straight to your inbox!